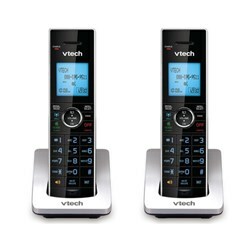 The VTech DS6771-3 is the cordless phone comes equipped with DECT 6.0 digital technology which delivers excellent sound, enhanced security and range. Moreover it features interference free crystal converastion-wont interfere with wireless network and other electronic devices. The phone is expandable up to 5 handset using only one phone jack. The DS6771-3 can easily store 50 name and number. 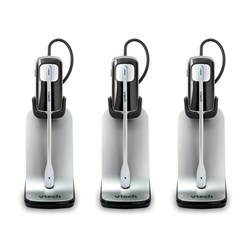 With just the touch of a button, hands-free conversations are made easy with the handset speakerphone. The phone has additional features like volume control, quiet mode, digital answering system with dual caller ID and tri-lingual menu setup. 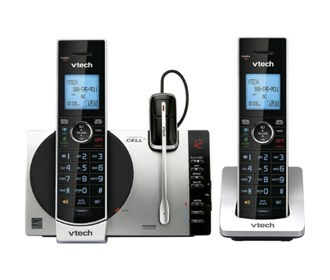 The VTech DS6771-3 has many exciting features for users of all types. 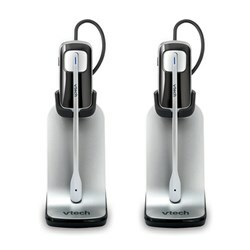 You can extend the lifetime of your VTech DS6771-3 with the purchase of a FactoryOutletStore Factory Protection Plan. 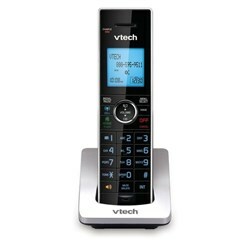 See the VTech DS6771-3 product video and gallery images above for more details. 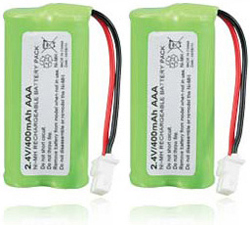 FactoryOutletStore stocks a full line of accessories like Replacement Battery, VTech CPH-515J-2 Pack, and VTech DS6072 for the VTech DS6771-3. 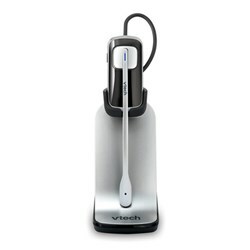 The VTech DS6771-3 is sold as a Brand New Unopened Item.